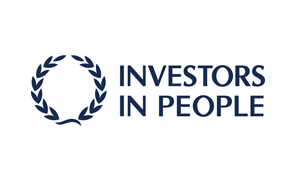 The Reynolds Group has again been recognised as an “Investor in People”. Having first gained Investors in People (IIP) accreditation six years ago, Reynolds have reaffirmed this status for the third time running after a recent assessment across the whole group and have also been put forward to become an IiP Champion. Investors in People is the national standard which sets out a level of good practice for the training and development of people in order to achieve business goals. The external review highlighted a number of the Group’s strengths and good practice in relation to the Investors in People stating that “The Reynolds Group is a remarkable community of people and I was very impressed with the strength of evidence which exists to support the Evidence Requirements of the Standard, the company demonstrates excellent practice in the way that it supports and manages its people. The culture underpinning the Investors in People standard is very firmly embedded and the company is an excellent example for other organisations to learn from.”. The report noted that the Reynolds Group is an example of best practice and becoming an IiP Champion would facilitate the process of continuous improvement and greatly assist other organisations considering working with the Standard. People are able to articulate the company’s overall aims and objectives clearly and have a very good understanding of how they are expected to contribute to the company’s success. People are enthusiastic about their jobs and referred to the strong personal support they received for their learning and development. The quality of management and leadership in the company is excellent and it was clear that people feel very well motivated and supported with a clear understanding of what they are expected to achieve. The company is well aware of the importance of good recruitment and succession planing. There is great energy at the top of the organisation and this permeates throughout the company. For more information on the standard please visit www. investorsinpeople.co.uk.